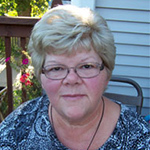 Deborah Fisher is a Social Worker in the Northern, Illinois area. She brings an abundance of compassion and a wealth of experience to her clients. She has been serving adoptive families for over 20 years, helping them through the home study and post-adoptive processes. Debby is a graduate of Judson University and she has completed graduate course work in psychology and counseling at Southern Illinois University and Illinois State University. Debby is a seasoned adoptive parent of two beautiful daughters from Honduras and Guatemala.